If you’re visiting PNC Park for the first time, there are, as with every ballpark, some things you need to know. 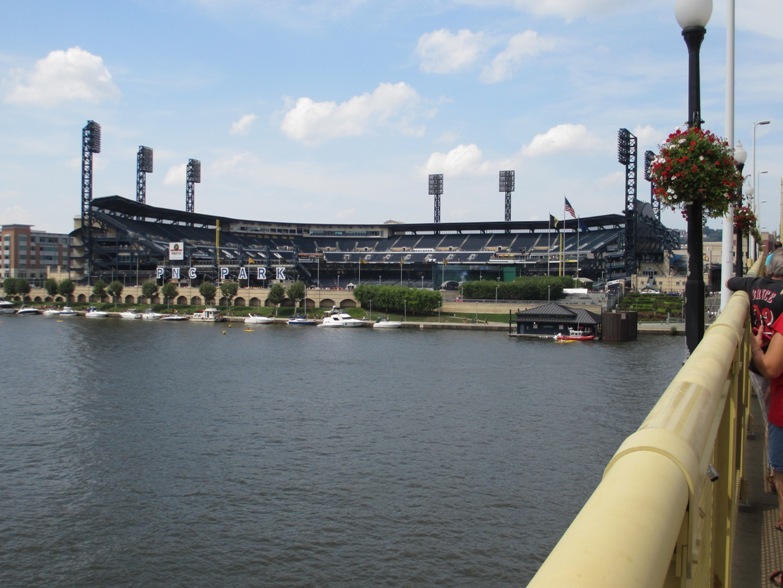 PNC Park is one of the best ballparks in America and a popular ballpark chaser destination, so here are some ways to save yourself time, money and aggravation when you go. Lady, no need to use the phone, the ticket window is right next to you. 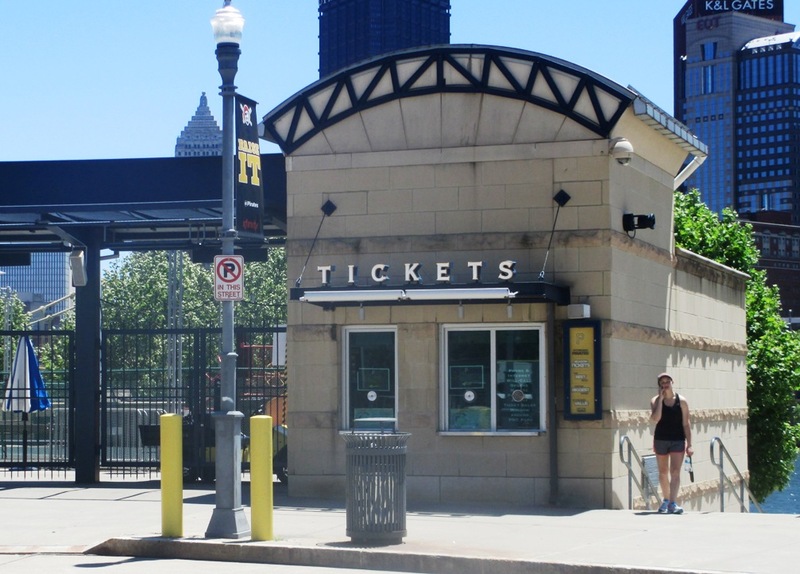 Visiting PNC Park, Tip #1: Consider the demand for tickets. The Pirates draw pretty well when they have a decent team on the field. And PNC is a pretty decent draw even when the Pirates aren’t that great. 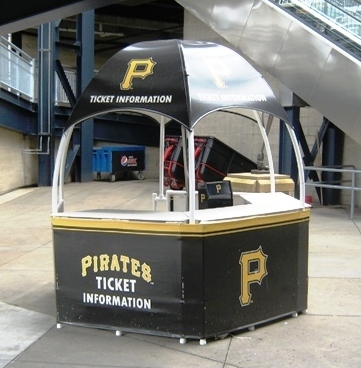 There is a “scalp-free zone” at PNC Park, but I’ve never seen anyone selling tickets there, so you would probably have to patronize the legitimate scalpers (joke) if you are out of luck at the box office. Visiting PNC Park, Tip #2: Stay in the infield. The outfield seats are OK at PNC; there’s a nice view of the river and bridges if you turn your head, and it’s close to Manny’s and other cool eats. But you’ll definitely want to be in the infield here, between the bases if at all possible, because of the stellar view of the Clemente Bridge and downtown Pittsburgh. I know you’re not at a ballgame to see a nice view, but it’s worth it, trust me. Pictures do not do the scene justice. Lower or upper level doesn’t really matter, the view from the infield is stellar. Well worth the extra walk. Visiting PNC Park, Tip #3: Park your car downtown. If you don’t mind a short walk, the parking lots in the “Point” section of Pittsburgh are cheaper than the lots on the North Shore closer to the ballpark. The lot at Fort Duquesne and Sixth is right at the foot of the Clemente Bridge, and usually has spots if you’re early enough. Again, it’s a bit of a walk, but the view of the inside of PNC Park from the bridge is utterly spectacular, the best ballpark approach I can think of. It’s equally stunning at night, with the blue “PNC Park” letters reflecting on the water. Extra bonus: there are cheap vendors of peanuts, water and T-shirts at the foot of the bridge as well. 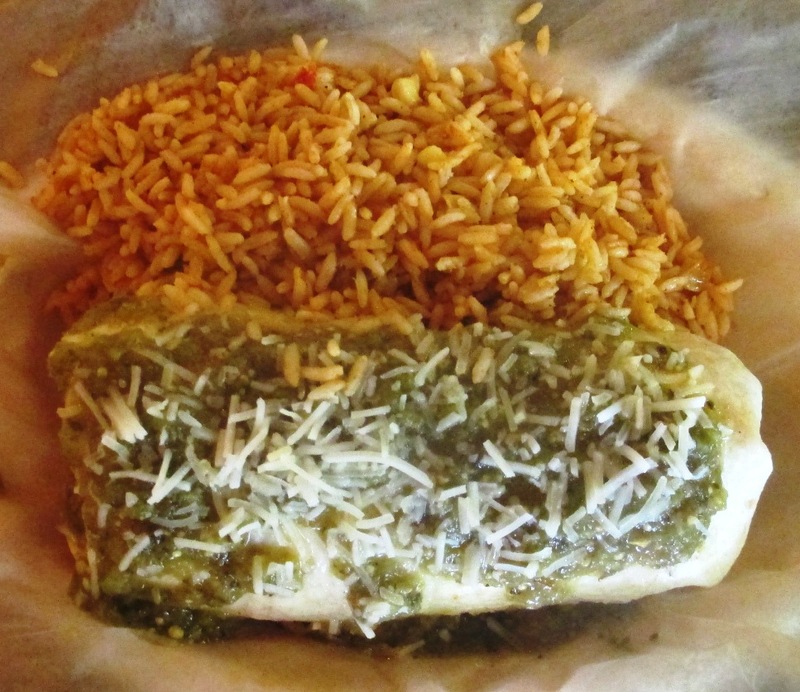 We covered this burrito with green salsa just in case you were thinking of using your hands. Visiting PNC Park, Tip #4: Try the connected restaurants. Primanti Bros. sandwiches are great, but they tend to be better and cheaper at various Primanti locations in the city, so only get that if it’s your only opportunity to do it in the Burgh. Chickie’s and Pete’s fries are popular too, but leave that for Philly. In the restaurant under the scoreboard (currently the Jim Beam Left Field Lounge as I write this), you have some great choices of Pittsburgh-themed foods like the “Burgh Style Greens” salad, and less expensive drinks after the game. But there are other restaurants attached to the ballpark on Federal Street, and they’re all good…the pizza from Slice On Broadway is excellent and Steel Cactus makes a great and hefty burrito. And you get a little more bang for your buck, except during the game when the price at Slice goes up. The biggest baseball fan you’ll ever meet. 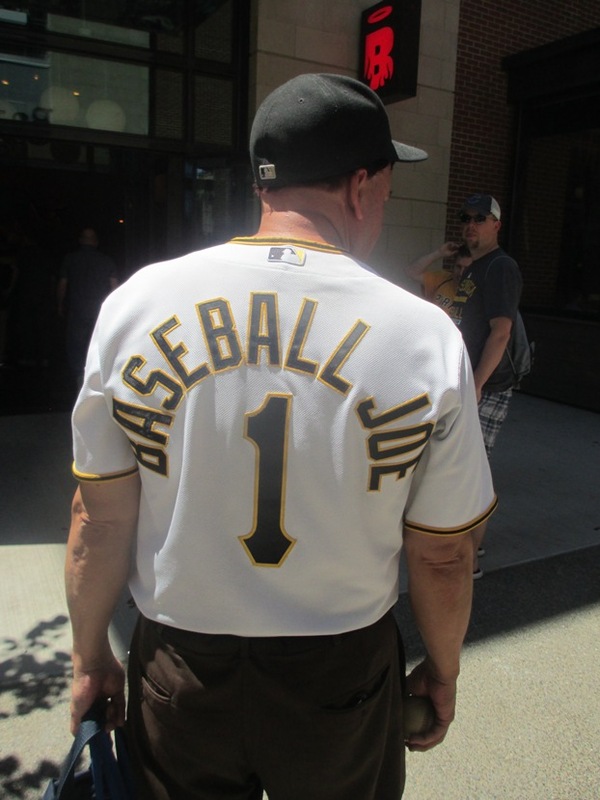 Visiting PNC Park, Tip #5: Check out Baseball Joe. I promise you, you’ve never met a bigger Pirates or even baseball fan than “Baseball Joe” Vogel. Despite being rendered deaf and mute from three strokes, he still manages to attend every Pirates home game, as he has since he was a young boy. Baseball Joe sits in the covered section just above the out-of-town scoreboard in right field, and communicates with fans through a small keyboard he carries around. He is the biggest baseball fan anywhere…don’t even mention other sports to him. Joe loves to meet other baseball fans…you can tell him I sent you. Read more about Baseball Joe here. 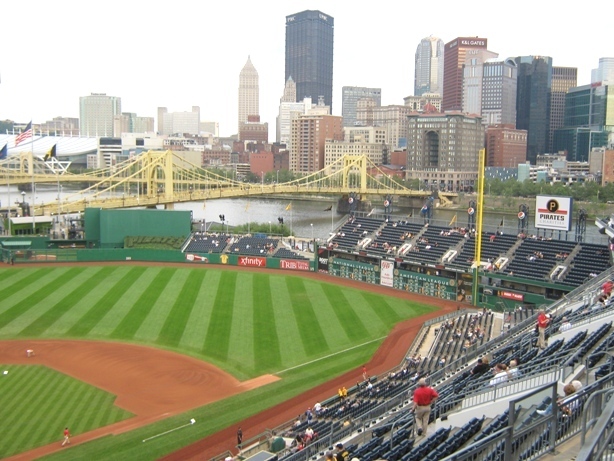 There you go, five tips for visiting PNC Park in Pittsburgh. There’s other things to know about, like the free subway ride from downtown or the BRGR Abso-Bac’n-Lutely burger, and the statues of Pops and Maz. One thing you probably do know is that PNC is one of the best ballparks in America…you probably won’t argue the point when you go.